Judges praise book that places football as a “barometer of the country’s well-being alongside music, literature and film". The Game of Our Lives, David Goldblatt’s study of the changing face of English football and how it reflects the nation as a whole, has today (Thursday 26 November) been named the winner of the 27th William Hill Sports Book of the Year Award, the richest and most prestigious literary sports writing prize in the world. Described by the judges as “an exceptional winner”, The Game of Our Lives looks at how football affects urban identities from the largest metropolis to small-town backwaters and the economic regeneration a successful team can bring to an area, and examines its role in progressive debates on class and racial and sexual equality. Goldblatt also describes how a sport used as a symbol of urban decline only a few decades ago is now an economic powerhouse, an industry that has outperformed even the housing market as it has boomed during the recent recession. Goldblatt was announced as the winner of the 2015 Award by judge and broadcaster John Inverdale at an afternoon ceremony at BAFTA in central London. 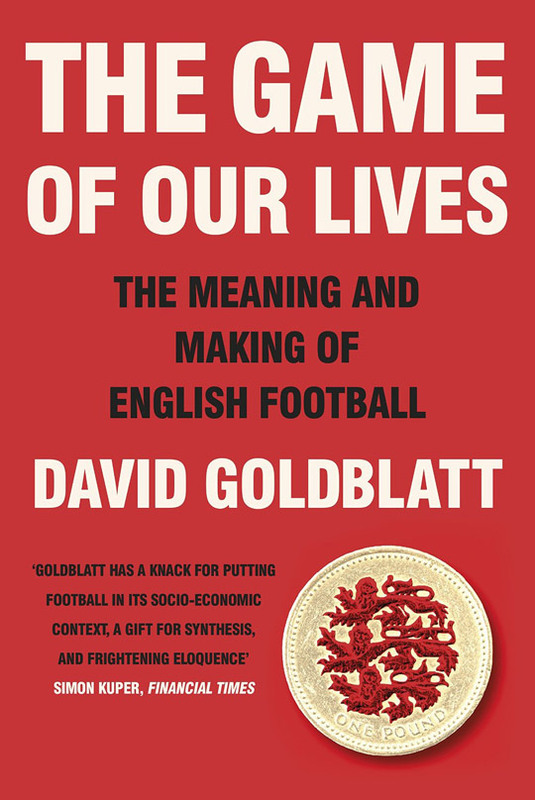 A writer and broadcaster who has made sports documentaries for BBC Radio, Goldblatt’s previous books include the acclaimed The Ball is Round: A Global History of Football and Futeball Nation, a footballing history of Brazil. As well as a £27,000 cheque, Goldblatt was awarded a William Hill bet worth £2,500 and an exclusive day at the races. He now joins an illustrious list of past winners including Nick Hornby, Duncan Hamilton, Donald McRae and Paul Kimmage. In taking the prize, Goldblatt overcame a powerful and varied shortlist, including a potential third winfrom Donald McRae for his acclaimed biography of boxing legend Emile Griffith, A Man’s World. The shortlist also included the first book on bobsledding to be submitted for the prize, Speed Kings by Guardian senior sports writer Andy Bull, and writer and BBC TV news producer Simon Lister’s study of the 1974 West Indies cricket team, Fire in Babylon. Making up the list were two other football-related titles: Martin Fletcher’s hugely affecting account of the Bradford City fire and its aftermath, 56, and the Independent on Sunday’s chief sports writer Michael Calvin’s investigation into the secrets of surviving the brutal and unpredictable world of the football manager, Living on the Volcano. The judging panel for this year’s Award consisted of: retired professional footballer and former chairman of the Professional Footballers’ Association, Clarke Carlisle; broadcaster and writer John Inverdale; broadcaster Danny Kelly; award-winning journalist Hugh McIlvanney; and columnist and author, Alyson Rudd. Chairman of the judging panel is John Gaustad, co-creator of the Award and founder of the Sportspages bookshop.